Villa Dionysus is a fairytale Mediterranean luxury villa which embodies “joie de vivre” – joy of life! Its playful interior and a breathtaking view of the sea create a hedonistic basis for pure holiday delight! 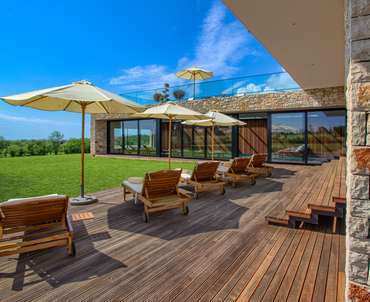 For the traveler who likes space and privacy, Villa Susnset Bay overlooks the crystal clear waters of sunny Gradina Bay. Enjoy lazy afternoons admiring Gradina bay from your outdoor dining area. And soak up atmospheric evenings around the private pool in the company of your family or group. 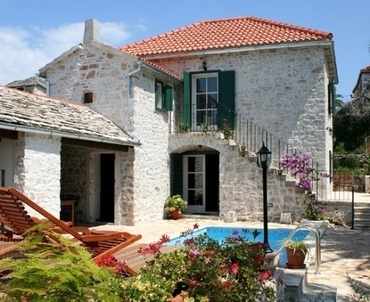 A charming 19th century period resonates heavenly peace, embraced in the old Dalmatian stone house while you can enjoy the luxury of a massage pool, extravagant sun deck and an outdoor barbeque. 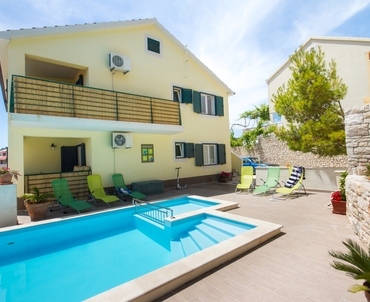 This luxury villa is a perfect destination for 2 families or 8 people in total. 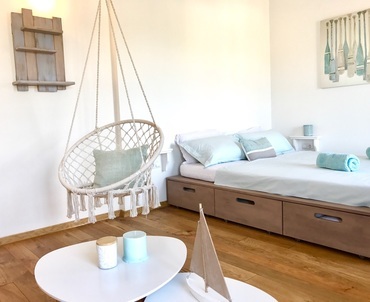 With perfect location only 600 m from the first pebble beach, this villa has an ideal location for the families with small children. Modern interior design, beautiful Mediterranean garden and outside pool are the essentials for relaxing holidays. Seductive Korcula Island, full of hidden bays, stunning green sceneries, a vibrant culture and gourmet restaurants is known as a true island paradise. 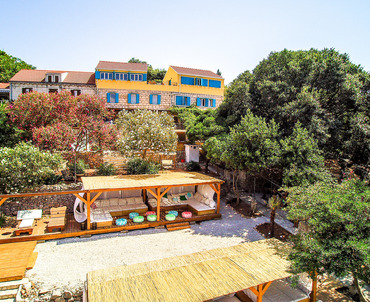 If falling in love with the most charming medieval old town Korcula is on your holiday list, this is a perfect setting to nestle, since the old town is just 15 minutes walking distance away, whilst the first beach is just 100 m down the hilly road. Beach-front position in a mass-tourism free bay guarantees peaceful, calm holidays with recharge opportunities from surrounding nature, romantic sunsets from the balcony and healing blue colours of the Sea.